OmniFocus for iPhone got an update today which lets it refresh itself in the background, in what is probably a foreshadowing of things to come in iOS7. It uses the now-familiar workaround of location-based updates, which lets an app download data in the background when you arrive or leave a predefined location. I literally deleted OmniFocus from my iDevices yesterday, just before the update hit. I was so sick of having to wait for it to sync every time I opened it that it had become almost useless – and I don’t even have a ton of tasks in there (I switched back to a combination of Reminders and Gmail labels – more in an article this week). 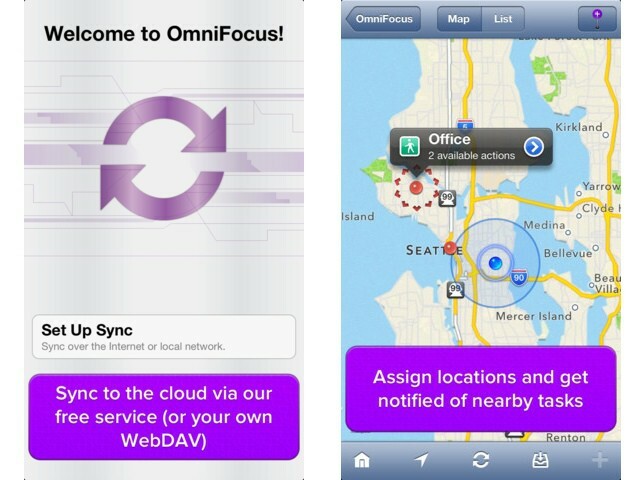 Now at least your OmniFocus to-do list will be fresh and ready as soon as you launch the app. Probably anyway – I obviously can’t test it as I stopped using it already. One of the biggest advantage Apple has with its built in Notes, Reminders and Mail apps is that it can do this kind of refreshing already, meaning they’ll always be quicker than an app that has to refresh on launch. This advantage will be coming to many more apps in iOS 7 . It’s going to be pretty rad to open up your RSS or Mail app and just have all the new stuff there waiting for you. Now if Reminders could just hide tasks that aren’t yet due I’d be in nerd heaven.